How long did you transition? How long have you been natural? I’ve been natural for 9 months. On March 19, 2009, my cousin started talking to me about "going natural". Meaning, we would no longer put chemical relaxers in our hair and we would allow our hair to grow out naturally. (Chemical relaxers can damage your hair and it has done so to my hair.) I thought she was crazy! After watching hundreds of YouTube videos by brave women who decided to go natural and cut off all their relaxed hair, my cousin and I were inspired. 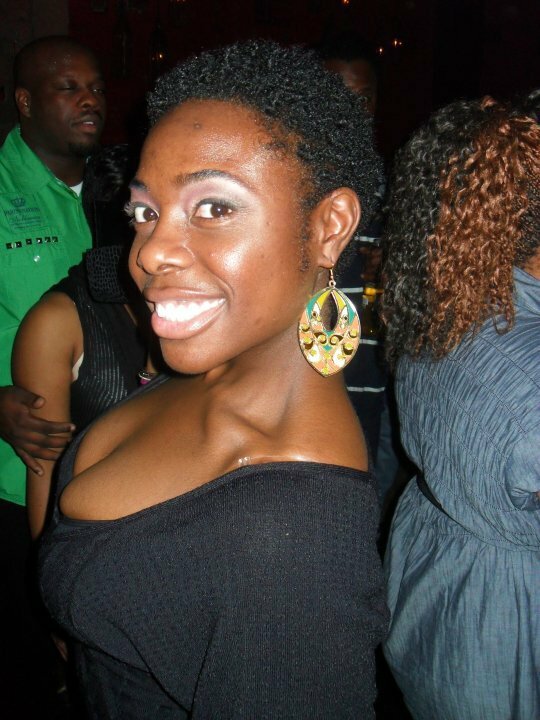 Friday night we got together and ate some food and drank some Nuvo and made the decision to do the BIG CHOP! She cut off my hair and I cut off hers! How did family and friends react to your new hair? Everyone loved my new hair. They all commented positively. Three of my friends admitted that they’d been playing around with the idea of going natural, but they were very insecure. After seeing me do it with style, they were ready. They all BC’d within a week of mine. My mother even decided to go natural! What's your favorite hairstyle and products? I love wearing my hair in twistouts! 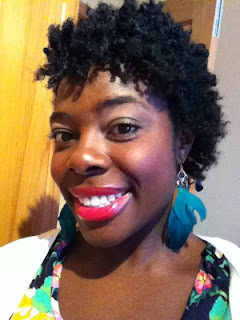 My hair has little to no curl definition so twist outs give me the faux curl I desire. My favorite products are Giovanni Smooth as Silk Deep Moisture Shampoo and Conditioner, Organics Root Stimulator Hair Mayonnaise (Deep Conditioner), Shea Moisture Curl Enhancing Smoothie, and EVOO, EVCO, Raw Shea Butter, Castor oil, and Biotin supplements. *I deep condition 1x a week. *I shampoo every 2 weeks (2x a month). *I always add oil to seal my ends and prevent breakage. *I always set my hair in flat twists using a moisturizer and sometimes gel for a stronger hold. *I always sleep with a satin bonnet. *I always take my multi vitamin, vitamin c, folic acid, and BIOTIN. What do you love about being natural? What do you hate? I love the freedom and variety in hairstyles. Since going natural I’ve developed a level of creativity in styling my hair that I never had before. I look forward to taking care of my hair. I get lots of attention from women and men. My twist outs start lots of convos! Also, since I’ve been natural I’ve found a new network of women that I would have never known existed. I’ve created my own website and receive lot’s of questions, comments, and requests through this platform. Going Natural is a deep emotional experience. Only the strong survive. Where can we get more of you on the web? Great feature!....very nice! :) and her hair is beautiful. Jenell, that's awesome that you influenced four other people with your BC. I love seeing naturals flaunting their beautiful hair and changing the lives of others in the process. It was so totally awesome!